On average, home fires kill 7 people and injure another 36 — every single day in the United States. That’s why the American Red Cross launched its nationwide Home Fire Campaign in 2014 with the goal of reducing the number of home fire deaths and injuries by 25 percent. A key component of the campaign is a series of “Sound the Alarm – Save a Life” events in which Red Cross volunteers, working with local fire departments and other partners, visit high-risk neighborhoods to offer to install free smoke alarms, replace batteries in existing alarms, and help families create escape plans. It is believed that the “Sound the Alarm” neighborhood visits have already saved more than 500 lives throughout the United States since the Home Fire Campaign began. On Saturday, January 26, a Sound the Alarm event took place in the city of Seaside. That day, the American Red Cross of the Central Coast visited 69 homes in a 24-block area in the city, installing 175 free smoke alarms. 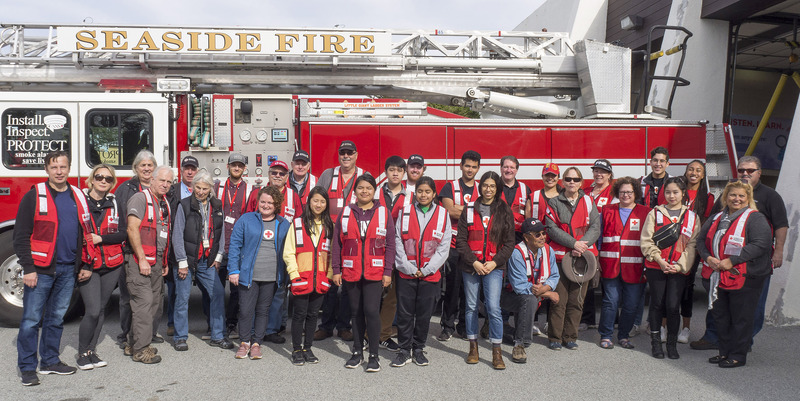 The volunteer teams also provided in-home fire and earthquake preparedness education during the home visits in that community, said Helen Cosentino, a Disaster Program Specialist for the local Red Cross chapter.